The time has come to plant your indoor marijuana seeds! Unlike outdoor grows, indoor grows can be done at any time of the year and can produce a crop in as little as 6-8 weeks if you know what you are doing. It isn’t a case of just sowing your seeds under a lighting rig and leaving them to it though—you need to plan ahead as what you do now will impact your final crop. Read on to find out how to plan a successful indoor cannabis grow. 0.5 What lights do you buy? You will by now have some idea as to the effect you want—a high CBD strain, perhaps, for a more chilled effect or a high THC content for an energetic buzz. Or a specific variety high in another cannabinoid, such as THCV-rich Black Beauty, which helps with diabetes. That should start you in the right direction, but individual strains require different treatments during their lifecycles and this could mean a higher level of expertise from you the grower. If you’re a complete beginner then it might help to look at the five easiest strains to grow according to Leafly. Or these ones in our seed buying guide. These are just a handful of up to 1000 different strains of marijuana though, a tiny proportion of those available. It does come down to research—once you have narrowed down the strains with your preferred cannabinoid content you then need to consider which of these are best to grow indoors. And, finally, consider your own level of expertise in growing a good marijuana plant. Some strains just aren’t easy for a novice to grow. Before we move on, have you considered auto-flowering varieties? These are lower maintenance than older varieties and may be good for the beginner who has enough to consider from the outset! Here’s a scoopful of Coco Coir… but often you’ll buy it in bricks. How are you going to feed the roots of your indoor marijuana grow? You could follow outdoor growers and simply have it in soil but this brings about mixed results. One of the advantages of indoor marijuana grows is that you can give the plant exactly what it needs from seed to bud. You can grow your plants in water through a Deep Water Culture (DWC) system (click to learn more and see our favorite systems). The roots hang in water and are fed the nutrients the plant needs by applying those feeds into the water. This allows the plant not to ‘hunt’ for its nutrients and allows it instead to focus its energy on producing green growth. This achieves higher cropping and faster maturity, but is quite an involved technique. DWC is arguably the easiest of the hydroponics systems though. An alternative, even easier option than DWC is Coco Coir—the fibrous husks of coconuts—which is less prone to root rot than DWC and is a far lower maintenance option. 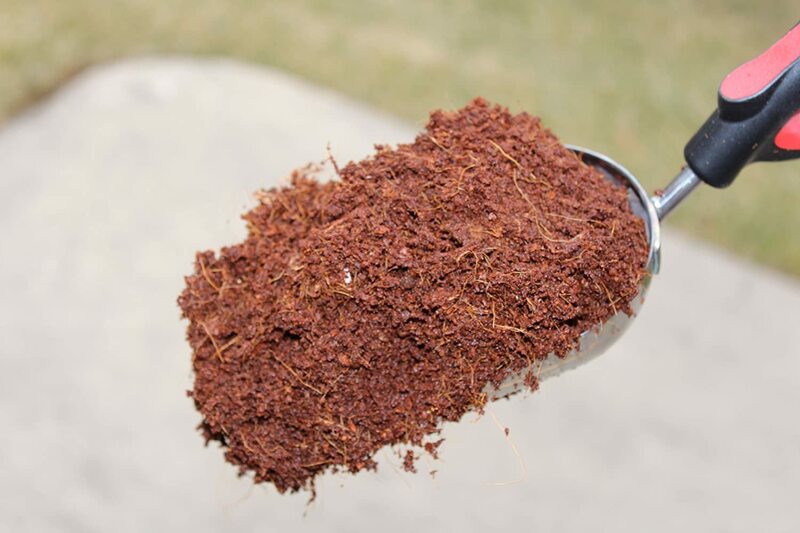 Coco Coir releases nutrients very quickly to the plant, and reduces shock stress to the plant should you add too many nutrients to the root medium. For the beginner this is a very good option in the involved task of an indoor marijuana grow. Want buds like this? It helps to master some plant training techniques. Yes, you even need to consider plant training and budding techniques before you start your indoor marijuana grow! Sea of Green (SoG) is a technique where you grow a large number of stunted plants that produce bud even while quite small. This means more floor space but a lower tent than a traditional grow—perhaps you could do this in a low roof space. You light the plants for 18-24 hours a day and then when they reach around a foot high, switch the lighting to 12 on / 12 off to force flowering. In this way you’ll get a lot of bud in a wide but low floor space. For taller, denser grows you will need a higher tent but can grow a similar weight of buds to SoG using different training techniques including Screen of Green (SCRoG), Low Stress Training (LST) or High Stress Training (HST). Check out our top grow tent recommendations. We’ve divided them up by size, so that you can find just the right one for your grow space. But if you’re going with SoG and want a short tent, save yourself some reading and just check out Gorilla Grow Tents’ brand new Shorty range immediately. Whatever the size, you won’t beat Gorilla for cannabis grow tents. Essentially the plant, if left alone, will put all its buds at the top of the plant but you want a more even bushy grow. 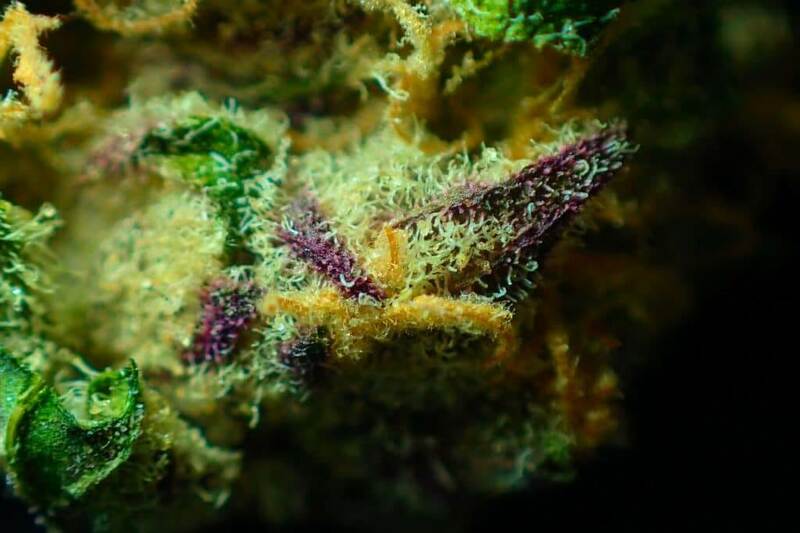 What happens inside the marijuana plant is that it releases a chemical called auxin where it wants to bud. You use training techniques to more evenly distribute the auxin in the bush by perhaps bending it over in a LST or SCRoG scenario or selectively pruning it in an HST budding routine. 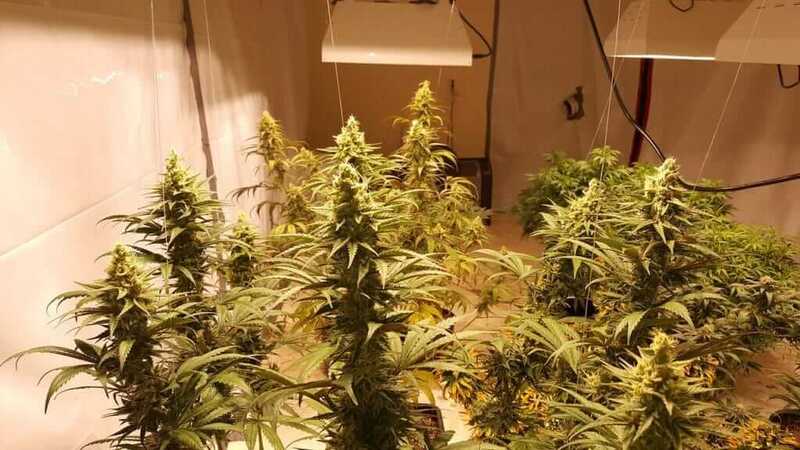 This is probably the bit you were thinking would come top of this blog when you started to think of planning your indoor marijuana grow! Cannabis plants are temperature sensitive and light hungry, so for an indoor grow you will need lighting, heating and cooling systems to make the plants perceive that it is the right time in their lifecycle to do a certain thing. As indicated above, with auto-flowering varieties of marijuana they produce their buds according to their age not lighting routines. These are easier to grow than most other varieties but there aren’t so many out there. In the SoG technique above you will light the plant intensively at first, giving it the perception that it is ‘summer’ and then make it think it’s ‘Fall’ by reducing the lighting hours. When the plant thinks it is fall then it will start producing the buds. What lights do you buy? Metal halide and HPS bulbs produce a lot of heat and a full spectrum of light wavelengths that in many ways replicate the sun. But they will make you raise your eyebrows when you see the energy bill too! As with hydroponics for the roots, you can be more scientific as to what exact wavelengths the plant needs at different times of its lifecycle using LED grow lights (click to see our recommendations for the best currently on the market). Though they are much less energy hungry than metal halide and run much cooler, the lights themselves do cost quite a bit more in capital costs than the other lights. However, you can easily recoup the higher purchase cost with lower running costs. As with light, temperature needs to change at the same time. In your grow tent you will need to consider fans to both keep the plant at the right temperature during its ‘day’ and bring the temperature down during its ‘night’. Maintaining a good flow of fresh air is also essential to keep plants healthy. If you’re in a hot region, or during summer, you may also need A/C to keep your grow environment just right. And in especially cold regions you may even need to heat your grow space at times. Especially if using LED grow lights, as they don’t put out nearly as much heat as metal halide or HPS bulbs. With these four broad things to consider before you plant your seed, you should be able to produce a healthy and heavy cropping indoor marijuana grow. For more info on growing, check out our Beginner’s Guide and Setup Guide. We’ve also reviewed some growing courses. Or subscribe to the newsletter and get our free ebook: Complete Beginners’ Guide to Growing Weed Indoors.